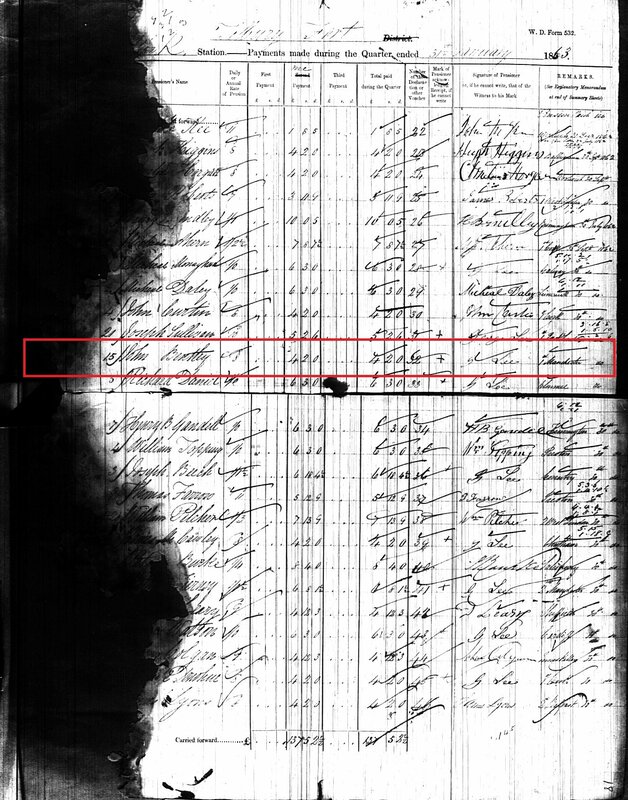 Birth date and place c. 1825 Lynally, Tullamore, Kings County, Ireland. Physical Description Height: 5 ft. 7 ins. Complexion: fine. Eyes: blue. Hair: light. Marks or Scars: Ulcer on left leg. Varicose veins. Marriage date and place 1861 (unproven). Spouse Anna Maria Louisa BRYANT (Briant). Children Mary Ellen b. 1863, Fremantle, Western Australia. William b. 1866 (d.1866), Perth, Western Australia. John b. 1867 Perth, Western Australia. Sally b. 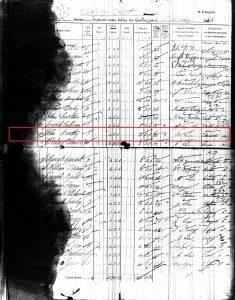 1865 (d.1865) incorrect – daughter of Adam Bentley & Dorothy nee Mills. Anna Maria Louisa b. 1867. Death date and place 5 Mar 1871 Barracks, Perth, Western Australia. Cause of Death: Disease of the Lungs. Burial date and place 5 Mar 1871 East Perth Cemetery, Western Australia. Regiment(s) 28th (North Gloucestershire) Regiment. Regiment No. and Rank #2187 Private. Attestation date and place 29 Dec 1843 Tullaamore, Kings. Service/Campaigns East Indies 3 years 98 days. Turkey & Crimea 1 year 14 days. Casualty/Medical Nature of disability – “ulcus cruris” (chronic). The result partly of Military Service and of constitutional infirmity. Suffers from a chronic ulcer of left leg. The veins are varicose. He stated that he received a blow on the said leg from a hand spike in the Crimea while on duty in a Battery. Is unfit for further military service. 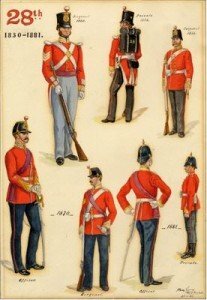 Regimental Courts Martial Absent without leave 30 Jan – 2 Feb 1851. Tried and sentenced twenty days Hard Labour. In confinement 3 Feb – 24 Feb 1851. Three times entered in the Regimental Defaulters Book. Discharge date and place 10 Jun 1861 Fermoy. Length of Service 17 years 138 days. Post Discharge Residence Stratford, Essex. Post Discharge Pension District 1st Manchester (1861). Perth, WA (1862-1871). 31 Jan – 3 Jul 1866 Toodyay; 9 Mar 1867 Perth. John Bentley’s entry on York Pay List [WO22-226]. Note very poor condition of List.